I assume that if you are reading this post you have, or are planning to have, a website to promote and develop your translation services. 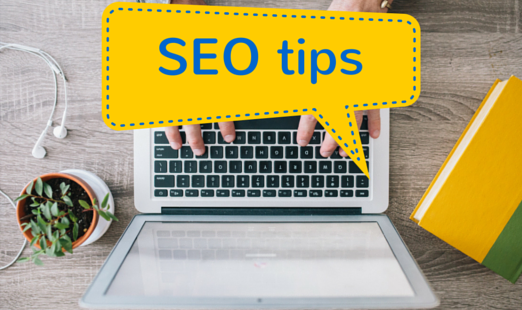 Do you know that your website can be on page one of Google search results? Yes! 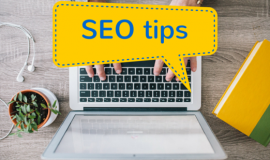 Here are 8 SEO (Search Engine Optimization) tips to help your website rank higher in the results pages of sites like Google, Bing and Yahoo. Check the actual searches that take place for the services you offer. Are you interested in visitors searching for “English to Spanish Translation” or “Articles of Association English to Spanish Translation? You are welcome to find out how to do keyword research if you are not familiar with it. If you offer Legal, Tourism and Toys Translation, consider describing each of these specialisations on a different landing page. Keep your focus on your area of expertise to make your content stand out, and be as specific as possible. Search engines love specific and fresh content! Write a title using a key phrase for your site. No longer than 55 characters and unique for each page. This is your opportunity to achieve a new click. Be specific and include two keywords in your description. No longer than 160 characters and unique for each page. Include a call to action on your description and main content (this, however, is more of a marketing strategy on the sales process than an SEO tip). Write descriptive ALT tags for all your images. 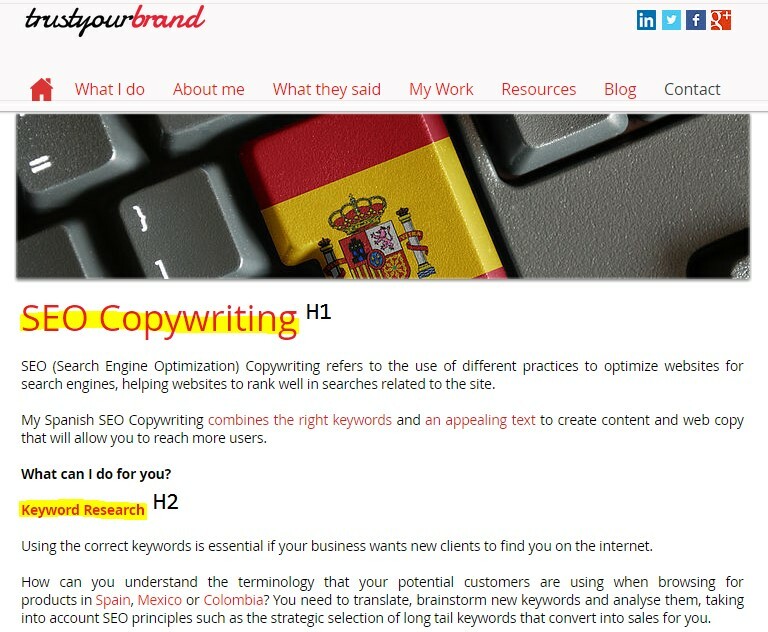 Use a H1 tag for your main page heading and H2 or H3 tags for other paragraph headings. Link the content of the different pages of your website. In the example below, a page describing Keyword Research services is linked to another page explaining what long-tail keywords are, because the content is related. Does it sound like a good start for optimising your website? You will need patience to achieve positive ranking results because SEO is the sum of many parts; however, your investment will start paying off the very first time a new client comes through your website! 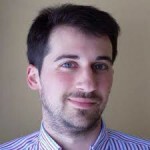 David García Ruiz is a professional Italian/English into Spanish translator. He specializes in marketing translation and multilingual SEO services, and enjoys giving advice to translators on his blog about good SEO practices. If you have any questions, please email him at info@trustyourbrand.co.uk or contact him via Twitter.